Vilnius is the capital of Lithuania with almost 600 000 inhabitants. It is a small town that gives a first glimpse of the Baltic countries on a weekend or more. Its medieval quarter, listed by UNESCO, is the largest in Europe in this style. There are many religious monuments on the spot such as the Church of Saint Anne, the Church of Saint Peter and Paul and the Cathedral of Vilnius for the most important. 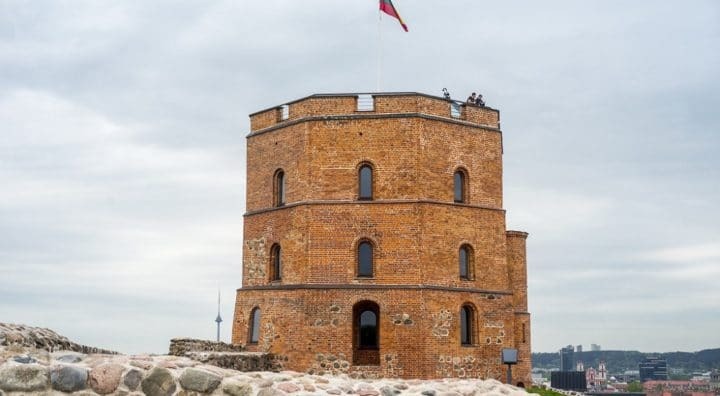 You will certainly not miss the view from the Gediminas Tower which is the only remaining part of Vilnius Castle. Also remember to visit Vilnius University, the oldest in Eastern Europe. Besides some museums, you will gladly visit the medieval city of Trakai 30 kilometres away or the archaeological site of Kernavė. Back in town, don’t forget that Vilnius is famous for its nightlife. To help you to plan your trips in Vilnius, we listed visits and places of interests to do in Vilnius. Where to stay in Vilnius (appartments, hotels, youth hostels,...) ? To enjoy your stay in Vilnius, it is necessary to pick the right location to stay. We give you here our best tips to know in which neighborhood to sleep and choose your accomodation accordingly ! Want to see Vilnius as a local ? To discover hidden places and to enjoy your stay away from mass tourism? The fast lane is here !